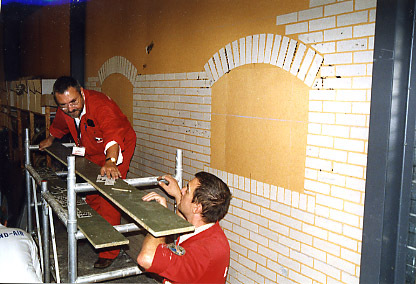 On December 31st, 2003 the last stone of the workplace 'Den Atelier' was placed by Antwerp Stampe Center's chairman Danny Cabooter. 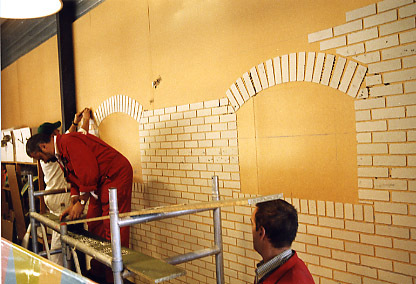 The installation of the decoration depicting a 1930's workroom took several months. 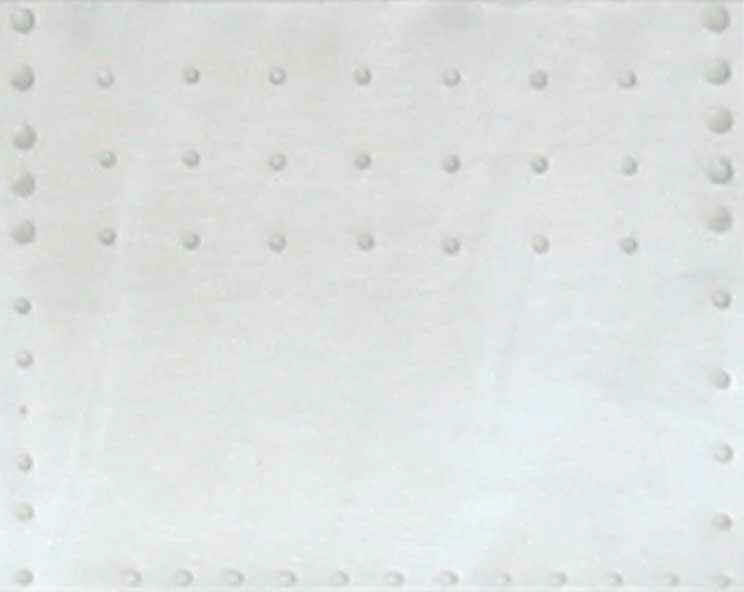 Nearly 10.000 'cardboard' bricks were put into place simulating the white painted walls of the original Stampe & Vertongen hangars. This workspace will be used during the retsoration of the Fokker D.VII and D.VIII aircraft. Fernand making the marks for a new row of stones.